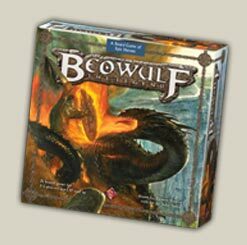 October 2005 saw the release of Fantasy Flight Games Beowulf the Legend, the latest in what can only be described as an explosion of board games produced by the company. Beowulf the Legend was designed by board game designer extrordinaire Reiner Knizia and is graced with artwork by artist John Howe (those how watched the Peter Jackson version of Lord of the Rings have seen interpretations of his artwork). While Reiner Knizia is a genuine board game superstar, not all of his games are equal nor are all releases of his games. Sometimes the mechanics fail to impress, sometimes the graphic design fails to impress, and sometimes the relationship between the mechanics and the theme of the game is hard to discover. So how does Beowulf the Legend rate in the categories and one additional category, component quality? To begin, how are the mechanics of Beowulf the Legend? First, they are surprisingly simple. The game play is divided into 36 episodes, each representing an individual event in Beowulf's adventurous life. To quote the rules, "In most of the episodes players compete for fame and awards...Whoever has the most fame and the most treasure to their name becomes Beowulf's successor and wins the game." In order to compete in the various episodes players are dealt "activity cards." Two of the cards are given to all players: one Beowulf card (representing Beowulf participating with the player in a given episode) and one fighting card with 2 symbols (representing the prowess of the shieldbearers). In addition to these two cards each player is dealt five more cards frm the shuffled activity card deck. There are three types of episodes --Minor, Major, and Treasure -- and each of the episodes is resolved in a different manner. Before I continue, it should be noted that all players arrive at all events at the same time because they are Beowulf's companions. A Beowulf piece is moved forward one event after the last event is completed. There are three types of Minor episodes, most of which add, or change, the cards in the player's hand or reduce the number of "wounds" suffered by the player. Major episodes, which depict the significant events and challenges of Beowulf's life (fighting Grendel as opposed to Sailing to Geatland). Major episodes, unlike minor episodes which are likely to add cards to a player's hand, are resolved in one of two ways. "Simultaneous Play" episodes are resolved by players secretly selecting cards from their hand and placing them face down in front of themselves. When the cards are revealed, all cards with a symbol matching the symbol of the event are counted (Beowulf cards are wild cards) and the player with the highest total gets the most prestigious award from the event and the player with the next highest total gets the next most prestigious prize, and so on. After the selection of gifts is made, any cards that did not match the symbol of the event are returned to the respective player's hand. So player's are allowed to bluff. Only the cards matching the event are discarded. So players must choose which events they wish to spend cards on wisely. This is further complicated by the second type of Major event the "Clockwise Play" event. In this event, the players -- starting with the "first player" who is initially the youngest player -- begin an open bidding war where they must play at least one card and must equal or exceed the number of matching cards of the prior player play continues until only one player is either able or willing to continue adding cards to the pot. When a player cannot, or will not, play a card they are removed from the episode. Player's receive "status markers" in inverse order of when they were eliminated. In a five player game, the first player would take status marker 5. Awards are then divided, with the player with the highest status (the lowest value card, i.e. 1) getting first pick of the available awards. The player who had the lowest status (the highest value card) become the "first player" in the next major event. Treasure episodes are similar to Simultaneous Major Episodes except they can only have one winner. When players reach the Death of Beowulf event players resolve this major event by revealing their entire hand. The player with the most cards with "symbols" is given status one, and so on, then the players select the awards for this event. At the end of the game players total their fame and treasure in the basic game (or merely their fame in the advanced game), the subtract points for injuries suffered along the way (no one wants a new ruler who is close to death after all) and the player with the highest total wins. In essence, this is a public and secret bidding game which combines elements of luck and strategy where players must choose which events to win and which to lose in the manner associated with their cards. Given the high regard given to "trickery" in the epics, the secret bidding (Simultaneous play) episodes are a nice mechanical edition. In essence the game is simple to play and takes roughly 30 minutes to an hour to complete. As you can see, the game is beautiful to look at, though there are not a lot of small details for player's to gawk at in multiple playings. What I found the most appealing was the shape of the board. As an inverted L, rather than a square or straight board, the board represents both the eventual termination of life and the fact that it can take an unexpected turn. Like all of Fantasy Flight's recent games, every thing post-Lord of the Rings, Beowulf the Legend has high quality components. 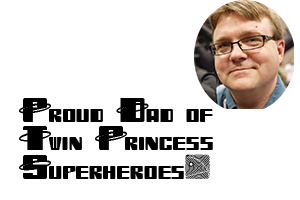 Like many American companies in recent times, Fantasy Flight Games seems committed to having games that have component quality comparable to those in the European gaming market. The "chits" are large and printed on heavy cardstock with nice graphic design. The only minor quibble would be that the fame tokens are not wooden are plastic, but given the lush design of the game and the added cost that would cause to an already significant price ($39.95) the addition of wood pieces seems foolish. As a player you accompany Beowulf on his travels and adventures. You stand by him in all his exploits ready to assist him in both word and deed. The aim ofhte game is to achieve fame and rewards in the form of fame, treasure and alliance tokens, special cards and additional activity cards. It is all played with one goal in mind: to win Beowulf's recognition and favour. At the end of the game, Beowulf's successor -- and therefore the winner of the game -- is the player who possesses the most fame and treasure. By the description it becomes readily apparent that the scoring system matches the theme, but what about the bidding resolution system? Does such a system represent the furious action of the battle scenes, or the political negotiations of the Hall scenes? To fully answer this, one must understand what the cards in each player's hand stand for. There are six types of activity cards representing the following: Travelling, Friendship, Wit, Courage, Fighting, and Beowulf. When the players play the individual cards in the events they are representing those kinds of actions. So when a player plays Travelling (an example would be Hunting the Sea Hag as they sadly left out the famous swimming race) he or she is demonstrating their ability to travel swiftly. With fighting cards players are representing their skill with arms. It would take too long to detail how the mechanics work in each individual scene, so I will select two where I think the mechanics do indeed support the theme, but which also require a little inductive imagination. The first scene is the King Hrothgar's Hall Major Event. This event is a simultaneous secret bidding event where the player who bid the most "Friendship" cards is the winner. Using a bit of imagination, one can visualize the companions of Beowulf planning their "toasts to Hrothgar" in secret and revealing them in the Great Hall. 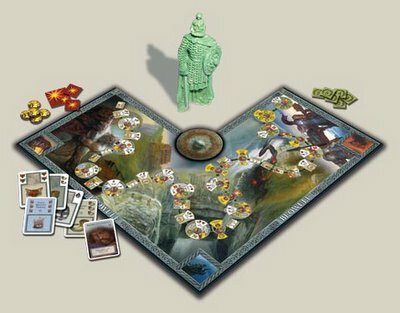 Each boasting of how much respect he (or she as this is a board game) has for the great king. The mechanics also work with the Grendel's Attack Clockwise Play event --which requires both courage and fighting prowess -- it seems only natural that the player exhibiting the most courage and fighting ability should win the day. In fact, the bidding process in a way simulates the scuffle as the companions help Beowulf before Beowulf finally takes things fully in hand and removes the arm of the beast. Overall, I have found Beowulf the Legend to be an innovative and interesting game which is easy for the novice to learn and which is highly replayable. You can download a pdf copy of the rules here to see if you might be interested in owning this new game.